Eaten Out of House and Home? Know Thy Enemy! Before jumping on a stool like a cartoon character, even before calling your local pest control company for an inspection and a quote, you may want to get your facts straight about the unsanitary invaders that are wreaking havoc on your well-coiffed lawn and general premises. 1. 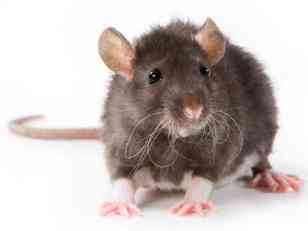 Rats and mice aren’t all cut from the same cloth – the Norway rat (which, funnily enough, hails from central Asia) is the most common kind reported by homeowners. But not all the sightings of rodents can be reduced to this common denominator – many confuse house mice with deer mice, voles, and even shrews – and over-the-counter rodenticides could well prove ineffective in those cases. Also notable is that rats, though “known” for their Gargantuan growth spurts, don’t actually reach cat-size dimensions – they hardly ever grow to weigh one pound. They do, however, carry all the diseases you can think of, and probably more. 2. Cockroaches can survive a nuclear explosion – Studies have indeed shown that submitting these hardy bugs to radiation won’t necessarily rid you of them. When exposed to high amounts that would normally obliterate humans (1,000 to 10,000 radon units), some of the sturdier roaches were still found alive and well one month in! The explanation offered by scientists cites, as roaches’ primary battle gear, their cells which, unlike their human counterparts’, aren’t constantly dividing – this renders the bugs less prone to death after being zapped. 3. Termites can fell a house, although, no, they don’t eat through concrete – They are the single most damaging insect in New Orleans and Hawaii, costing these states millions in rebuilding efforts. The Formosan branch of the termite family can even attack non-cellulosic materials, like plastic or even thin copper sheets and their millions-strong colonies’ staying power can only be put paid to in full by trained professionals. While it is indeed true that in many cramped urban neighborhoods, controlling the rodent population by pest technicians can be a Sisyphean task that won’t yield any long-lasting results, suburban areas are a different story, especially in terms of the relatively tightly-knit communities where no one pest-afflicted member is left to fend for themselves. Homeowners with a pest problem here should appeal to their neighbors instead of going it alone out of shame – a concentrated effort, with everyone in the loop and ready to launch strikes on their end, is the best possible scenario when dealing with pests that can easily migrate from one house to the next. John Mackenzie spent almost his entire life as a biology teacher, with a hidden passion for writing educational articles. Now he is combining his two passions into one, as he a part of a large network of online journals and sites which asks him to write and share his expertise and advice (in a language everybody understands) with home owners, gardeners, farmers and even students.